Welcome to the One More Soul Database of information about Residency Programs in Family Practice and Obstetrics/Gynecology. The purpose of this database is to provide information about the receptivity of programs to an NFP-Only Physician Resident. 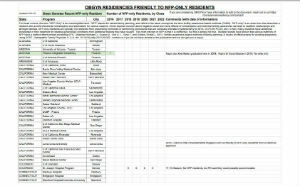 PLEASE add comments to this database by using the Submit Residency Comment Form.